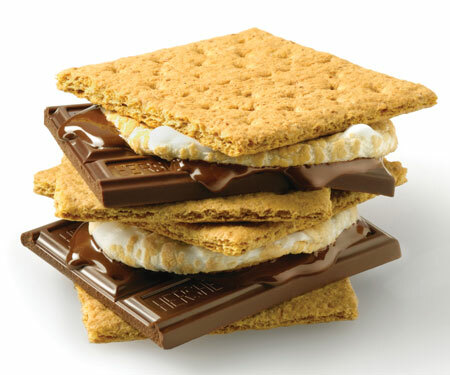 S’mores are one of those great treats that can be enjoyed any day whether at a campfire or not. 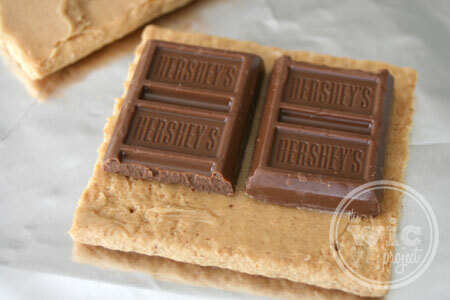 On August 10th, people across the country celebrated National S’mores Day by smooshing warmed Hershey’s milk chocolate and marshmallows between two graham crackers and enjoying their s’mores. 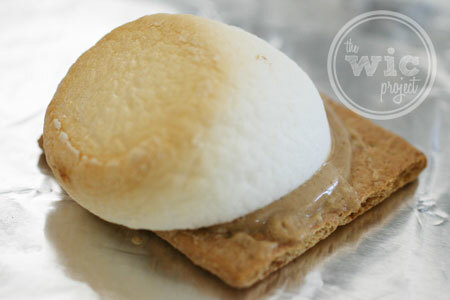 Today, August 30th, is celebrating a critical part of a good s’more – the toasted marshmallow. In honor of National Toasted Marshmallow Day and in belated celebration of National S’mores Day, I thought I’d take a look at the anatomy of a s’more as I made them for the first time in recent recollection. 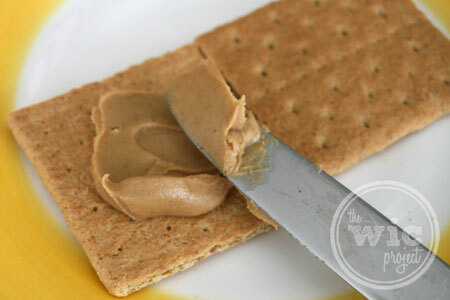 First, you start off with two graham crackers. … and a large marshmallow on the other piece. 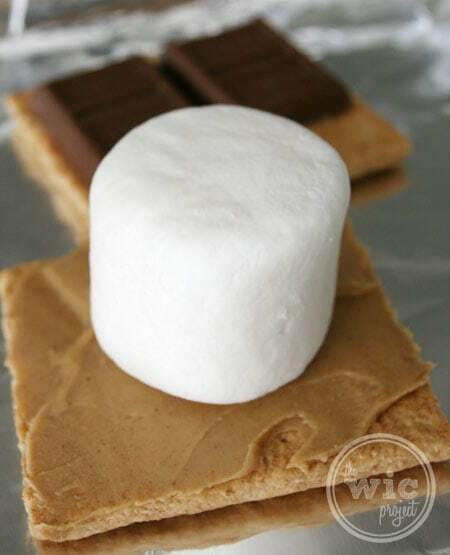 After the marshmallow is nicely toasted, combine the two halves to create a s’more. This peanut butter s’more was totally awesome. 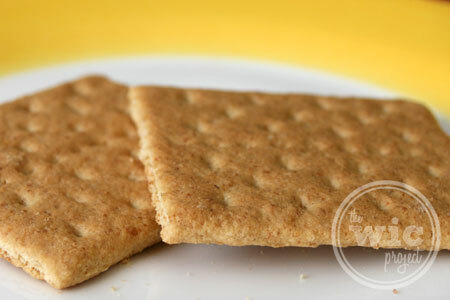 The smooth sweetness of the chocolate combined with the lightness of the marshmallow with a hint of salt and nuttiness from the peanut butter combined for the perfect bite. 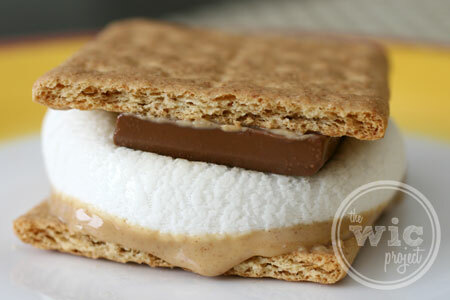 Now, if you feel like getting really fancy, you can create a Double Decker S’more. I’ll hope you’ll join me today, on National Toasted Marshmallow Day (or any day, really) to celebrate the s’more and remember to mark your calendars for the next National S’mores Day on August 10th and National Toasted Marshmallow Day on August 30th! 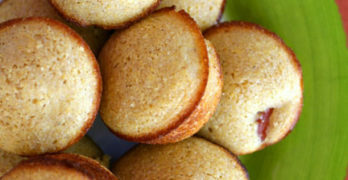 This look so delicious. I have never had a s’more before been wanting to try them though.